Beautiful You: Blogmas Day 8 | Gift Guide For Him! 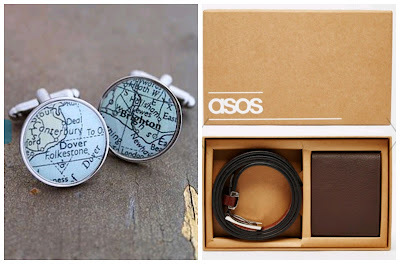 Blogmas Day 8 | Gift Guide For Him! Well you've all read my gift guide for her and it wouldn't be blogmas without doing one for him now would it. This one I found a lot harder because I don't really have many men in my life but I think I did pretty well. It is in the same format at the gift guide for her so I hope you get some inspiration! 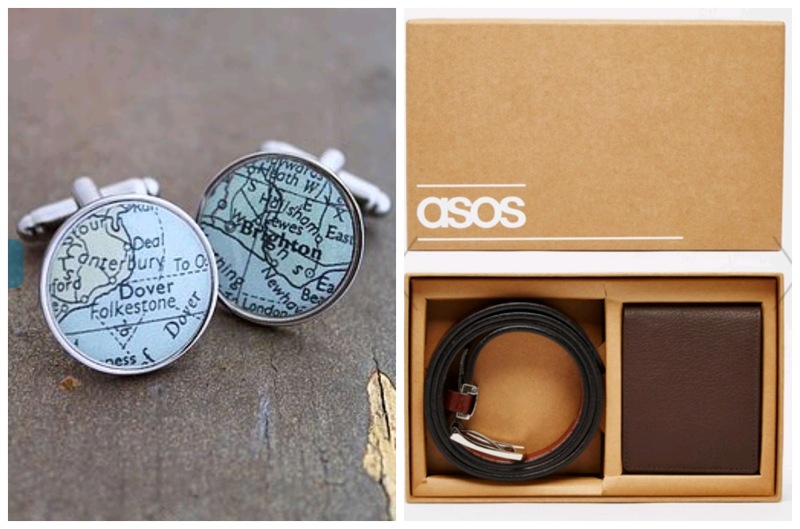 The first gift idea I found was a set of personalised cuff links, these specific ones you can personalise with a map of a certain town or city. I think this could make such a lovely gift if you and your loved one have a location that is really special to you because its quite subtle and they look really cool. These are from notonthehighstreet.com here and they retail for £25 which I think is a bargain for a good quality pair of cuff links! The second gift idea I found was a wallet and belt gift set from ASOS, it can be found here for £22. If you look in their website there are other colours and different designs and they do very in price. There are probably a lot of men that have tatty wallets that need replacing but they just can't be bothered to spend money on a new one so this gift would be perfect. The first idea I had was a fitbit, my best friend has one of these and he loves it. It's a watch that also keeps track of your physical exercise and counts your steps, its so amazing to see how many steps that you do when you're just walking around shopping. So if you're buying a present for a health concious person then this might be a good idea because they can keep up with their stats whilst still being quite subtle about it, you can find it at Curry's here for £44.99. 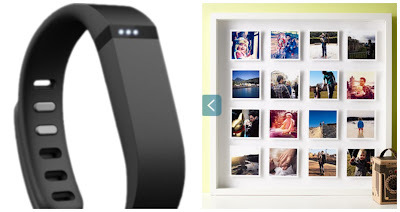 The second idea is a personalised photo frame from notonthehighstreet.com and you can find it here for £49. This is a good present if you have been on a trip or done something that year where you took loads of photos because then you can organise them into a frame like the one above and display it in you house somewhere and look at the photos everyday. I think my step-dad would love this filled with photos of either our trip to Paris or New York! One thing that you can never go wrong with for a guy at Christmas is a good bottle of aftershave, this specific one is by Tom Ford and it is called Black Orchid. This one is on the pricier side of the scale but it is so worth the money, it retails on Feel Unique here for £88 per 100ml. Fragrantica states the scent combines woodsy notes (patchouli and sandalwood), dark chocolate, incense, amber, vetiver, vanilla and balsam. Now we all know that a lot of guys are into fast cars, so the next gift idea is a fast car experience. The one I found on Virgin Experiences is an Audi R8 Thrill experience where you get three to four laps in the car and a a certificate to remember the experience by. This particular one is £115 and you can find it here but I'm sure there are other experiences available for other cars! Again I hope this gave you a bit of inspiration if you were struggling with what to buy the men in your life. If you have any other ideas then leave them in the comments below because I'm sure it will help someone out.